CHICAGO (Sept. 11, 2018) – (RealEstateRama) — The nation’s largest professional association of real estate appraisers today unveiled an information system that classifies and describes property uses and assists real estate analysts and others with their property use data storage and analysis. The Appraisal Institute announced that its Property Use Classification System, known as PUCS, can help appraisers, appraisal firms, data companies and vendors to the valuation profession and the real estate industry sort or organize real estate property information. Murrett noted that appraisers could use PUCS to create databases of comparable sales. Clients of appraisers could use the tool to better or more completely describe assignments to appraisers, he said. And real estate companies looking to organize data could use it to align with valuation processes and procedures, he added. PUCS contains an expansive number of property types and property subtypes inclusive of the hundreds of property types that appraisers regularly value, including newly developed uses such as energy, rock-climbing facilities, recycling centers, waste transfer stations and intermodal properties. 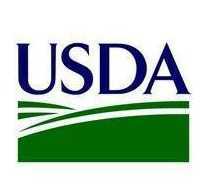 PUCS was developed over several years by the Appraisal Institute’s PUCS Project Team, comprised of AI Designated Members and subject matter experts. PUCS incorporates input from several hundred real estate valuation professionals who commented on multiple exposure drafts. PUCS v. 1.0 is made available under a Creative Commons Attribution- NoDerivatives 4.0 International License (CC BY-ND). 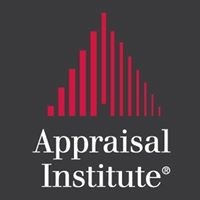 The Appraisal Institute is a global professional association of real estate appraisers, with more than 18,000 professionals in almost 50 countries throughout the world. Its mission is to advance professionalism and ethics, global standards, methodologies, and practices through the professional development of property economics worldwide. Organized in 1932, the Appraisal Institute advocates equal opportunity and nondiscrimination in the appraisal profession and conducts its activities in accordance with applicable federal, state and local laws. Individuals of the Appraisal Institute benefit from an array of professional education and advocacy programs, and may hold the prestigious MAI, SRPA, SRA, AI-GRS and AI-RRS designations. Learn more at www.appraisalinstitute.org.